When deciding on which brand of springs to purchase, it is important to note that to the naked eye, all springs look very similar… it is only upon closer inspection and evaluation that differences become apparent. 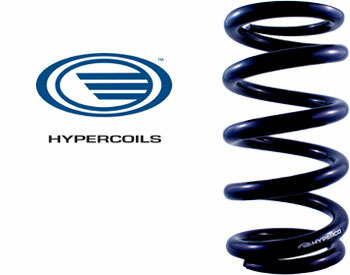 Hypercoils are a different product than other springs on the market. They are manufactured from the best… state-of-the-art… materials to precision tolerances. Optimum and custom wire sizes and materials are utilized to fully optimize every design. In addition to multiple inspections, Hyperco wire undergoes an exacting heat treat and shotpeening process to ensure accuracy and maximum durability. Hypercoils are accurate and consistent in their rate and, most importantly, will not lose free length/installed height. Hyperco guarantees a spring rate tolerance of +/- 2 percent while generally running within 1percent tolerances. When fine tuning suspension, these values can make the difference you are looking for.